Mine: www.adamsearle.com. More of a blog than a website, but recent work etc will be added.. eventually! Johnny's: www.invertmethod.com for his site, and www.invertmethod.com/speak for his blog. -G4TV in America aired our trailer on one of their shows! As the three of us live in Sydney and hence don't get G4TV, the producers were kind enough to ship us a DVD of the show. Thanks guys! -Ninjaman just broke the 10 million mark! -We licensed a copy of Ninjaman, under the title 'Samurai Sam', to Miniclip. We were thrilled Miniclip took up a version of the game! Over there, Ninjaman has done great too - another 10 million plays! -Johnny; our map designer, is making great strides post-Ninjaman with his design studio, FluidX. Check out their reel, it's awesome! To all those who have contacted me - I know I haven't got back to a lot of you due to time constraints but I do appreciate the email. So thanks everyone for playing, we've had a great time! Also, check us out on switch.tv; our trailer is featured over there. Finally we thank Mochibot for providing an awesome tracking service - anyone distributing a flash game HAS to use it! Enjoy! Nearing 3 million plays, PayPal donations, and a bunch o' new Ninja sites! Great news - Ninjaman continues to march on forward - we are nearing 3 million plays! At this rate we should leap over that mark by the weekend - less than a month after our initial launch. We couldn't be happier! Ninjaman hits 1 million plays!!! Yesterday, 9 days after being pushed to major gaming sites over the internet, Ninjaman passed 1,000,000 plays!! We are thrilled at hitting this milestone, even more so by the speed of which it was reached! Thanks to everyone who has played and have contributed to our million play march! In other news, we also got pick of the week at Newgrounds - about a quarter of our million plays have been at NG - so thanks to all those who voted for us! Now we are looking for further opportunities at pushing the game around. I'll report back here when we have some firm details, but until then, its the million plays celebration!! Ninjaman achieves the Daily Feature on Newgrounds! Its been a great day for Ninjaman team - last night we submitted Ninjaman to Newgrounds, for the purpose of attracting masses of traffic. Suffice to say, we did! in 9 hours, we scored 20,000 hits - we were thrilled! At the end of the day, we were given the Daily Feature, and a ‘More than 25k views’ emblem. Final tally of the day, and combining it with our own traffic on this site, we are sitting at approximately 32, 500 plays of Ninjaman!! We are all extremely happy with the progress of Ninjaman, and its a fantastic feeling that our hard work has paid off. We'd like to thank all the support, feedback and comments that we've received from everyone - you are the people who make this worthwhile, so thank you! Additionally, the version we uploaded to Newgrounds is somewhat new - like the version on this site too. The #1 piece of feedback we received was make enemies die quicker, so as to have a more hack'n'slash feeling. Well we've tweaked it a lot, and the result of your feedback is now up for viewing. If you've tried Ninjaman in the past, give it another shot, and tell us if you find it more fun! Cheers all. Yesterday when we posted Ninjaman, it was the normal 25fps version. Today we are posting the high-end 50fps version. We recommend a 2ghz or faster machine for this one - if you're not sure, just hit up the normal version. Ninjaman High: The way it was meant to be played! 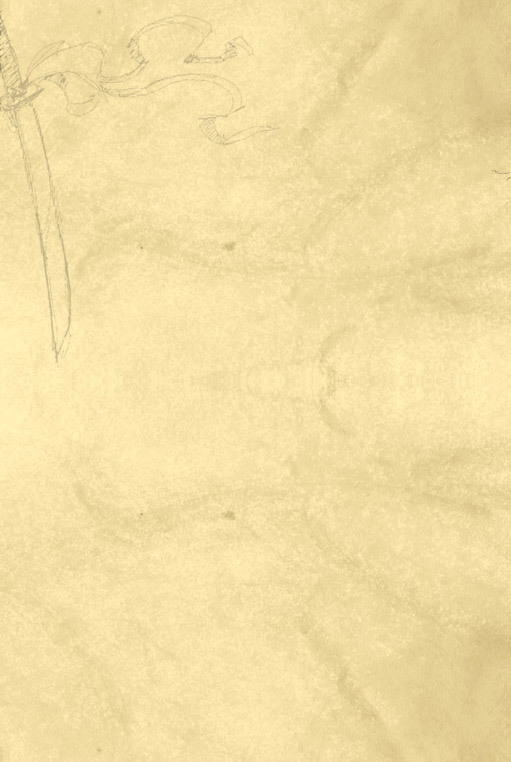 All our animations were originally designed for viewing at 50fps, so this version should look and feel suitably smooth. Enjoy! Coming soon: standalone downloads of Ninjaman for offline play. We've had a fair few requests for it, so check back later in the week for some offline goodness. Its been a long time coming (over a year!) but finally, we are done! Ninjaman is out, go hit up the Game page or press the big looming Play Now button at the top, and give it a shot! Woohoo!! So today, we've put up the standard version of Ninjaman - the 25fps version. Later in the week we'll put up the 50fps version for high end computers, for more Ninja fun, but buttery smooth. As the day we have long been waiting for finally arrives, I want to thank everyone who has been involved in the process. Jason, Johnny and myself have been slogging away at Ninjaman as a concept since 2004, and at this version of the game since 2005. Thanks to all those who've been there on the way; beta testers, friends to keep us sane, others who've given much appreciated advice on both the game and where to now, and even our uni lecturers for being lenient on deadlines with our game! So, go play the game already, and we hope you enjoy it! Pass it on to your friends, and tell us if you post it around in forums we might be interested in etc. Comments, suggestions, and random talk welcome via the contact page, or my email link at the bottom of all these posts. Cheers! So drop by on the 7th and come check us out! Ninjaman release only days away! See the teaser video! Hello to everyone who is seeing this site for the first time! We're Team Phoenix, a bunch of guys dedicated to the cause of making cool games in Flash, and in just a few days our enormous Ninjaman project will be up on this very site! Two years ago, Ninjaman witnessed the surprise annihilation of his clan. Fuelled by the passion of revenge, Ninjaman sets out on a quest to rid this world of Dark Ninja's minions. Take charge as Ninjaman, as you seek vengence upon the all evil Dark Ninja. From tropical costal beaches, to dark and unpredictable forests, travel performing a vast range of attacks on your foes; the windmill, the sacrifice, and the awe-inspiring ballista just to name a few. With many different enemy types, puzzles, and loads of action, you'll be captivated! 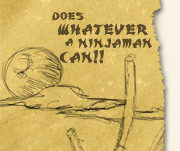 In 2004, we made a game called 'Ninjaman'; our first stab at our grand idea, which we unofficially released as Ninjaman Preview. So happy with our game, 2005 became dedicated to making an all new, all out, groundbreaking new version - Ninjaman as we really envisaged it. With breathtaking new character animation and level design, immensly faster gameplay, a whole ton of new enemies and moves, its a whole new Ninjaman of fun! Currently, we are preparing for our big release on New Years Eve, where it will be available on this site to play for free, as we always envisaged. In the mean time, to keep you frothing at the mouth, we've put together a teaser video, and some screenies of the game in action, on the media page. So go check it out, pass it on to your friends, and come back soon for the big release day!